The BANA-Zyme Test is a simple, chairside, 5 minute express test that can be used to check for the presence of 3 particular bacteria which can cause periodontal disease and malodour. It is ideal for screening all patients in the dental surgery to identify these problems early. A sample of subgingival plaque is taken and placed on a moistened reagent strip. If this turns blue after processing, it indicates that the bacteria are present. Simple and easy, there is no mixing or preparation required. With no need to consult an external lab, this simple test can be an effective first check to help with oral hygiene. BANA-Zyme – Early Bacteria Detection Test Strips. To detect malodour, the tongue is wiped with a cotton swab. For periodontal risk assessment, subgingival plaque is obtained with a curette. The samples are placed on the BANA test strip, which is then inserted into a slot on a small toaster-sized incubator. The incubator automatically heats the sample to 55° for 5 minutes. If P. gingivalis, B. forsythus or T. denticola are present, the test strip turns blue. The bluer it turns, the higher the concentration and the greater the number of organisms. A colour guide is printed on the container. 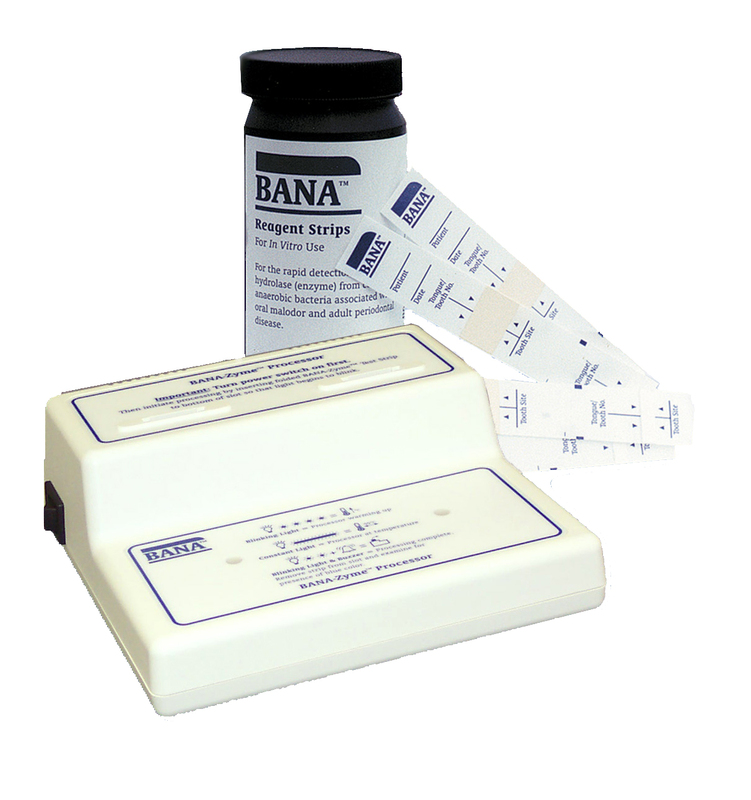 The BANA Test is a highly sensitive, inexpensive and easy-to-use chairside test for malodour and periodontal risk. 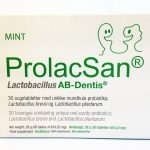 In just 5-minutes, the BANA Test can detect the bacteria associated with malodour and periodontal disease simply by applying tongue swabbings or subgingival plaques to a small test strip.